SHOW DESCRIPTION: Alyas Robin Hood (lit. 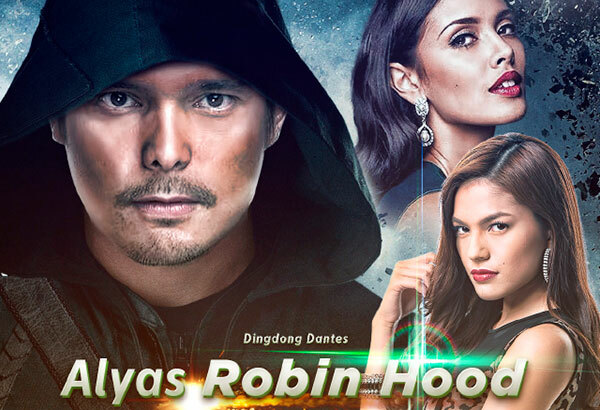 Alias Robin Hood) is an upcoming Philippine drama-action series broadcast by GMA Network starring Dingdong Dantes, Megan Young and Andrea Torres. It is set to premiere in September 19, 2016 on GMA Telebabad primetime block replacing the Korean drama Descendants of the Sun and also aired worldwide on GMA Pinoy TV. Many netizens accused GMA for ripping off a DC Comics character, Green Arrow, and the hit American action-adventure television series, Arrow after a Facebook user posted a comparison between Arrow and the alleged poster of Alyas Robin Hood which was actually a fan-art from a blogsite. While others simply see a cash-in or riding the popularity of the said show. The controversy continues when the teaser of the series was released. Stephen Amell, who played as Green Arrow on the American television series posted his blushed emoji from the shared video on Facebook. In a response, Suzette Doctolero, Alyas Robin Hood consultant clarified that it is not a rip-off of Arrow and both Alyas Robin Hood and the DC character/TV series are inspired by English folklore Robin Hood.